As we stood in the shade trying to shield ourselves from the summer heat, I looked over to see an almost dumbfounded gesture from the person beside me. A shrug-that's all I got from him. The sun was starting to set and natural light was beginning to escape us. The shrug from earlier came as a result of a confused look from yours truly. Bobby Taylor, the owner of this 2003 Silverstone Metallic AP1 sat speechless as Team Hybrid president James Lin snapped picture after picture with his digital camera. "I'm not in your shot am I?" Lin asked. Of course he wasn't. By that time, all attempts at automotive photography had ceased to exist on my end. He and another Hybrid team member had pretty much walked in front of every other shot previously, and I just stepped back and hung out with Bobby and his brother. The camera had begun to weigh heavy on my arm as the three of us watched on, bewildered by Lin's unadulterated excitement. What he was excited about, we'll never know. He was either pumped because he was a huge Powerhouse Amuse fan, or that the newest member sitting next to me would help continue the storied legacy of Lin's baby: Team Hybrid. Any import automotive enthusiast would be amused (no pun intended) by an Amuse-equipped S2000, especially one that's been built almost to the exact same specs - aesthetically - as the original Japanese demo car. Even I was a little pumped to see one in person; I was just more concerned about not being able to capture it before the sun went down. We had gone through every topic from professional wrestling to Bobby's involvement with Team Hybrid, to his occupation as a UPS driver. While James snapped away, I couldn't help but notice a copy of a Japanese Super GT magazine that Bobby had under the Super Street tech sheet he was filling out. "I'm a huge fan of Super GT," Bobby explains. 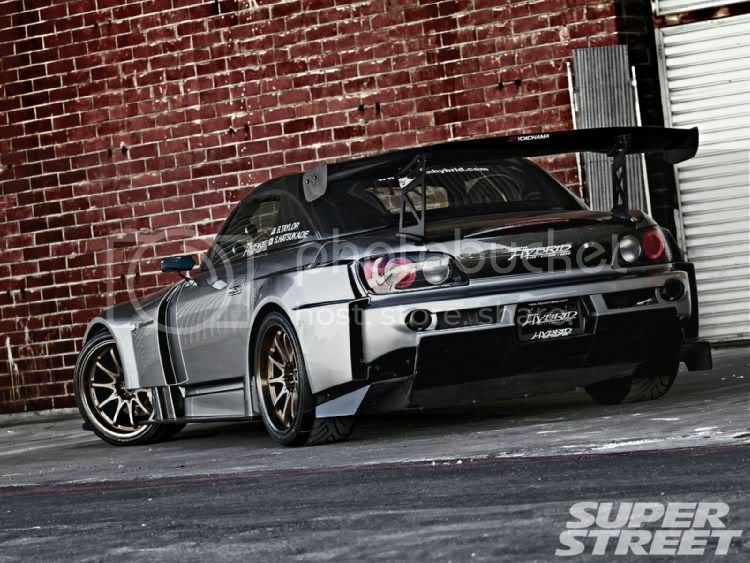 "I've been following it as long as I can remember and I built this S2000 because of it. 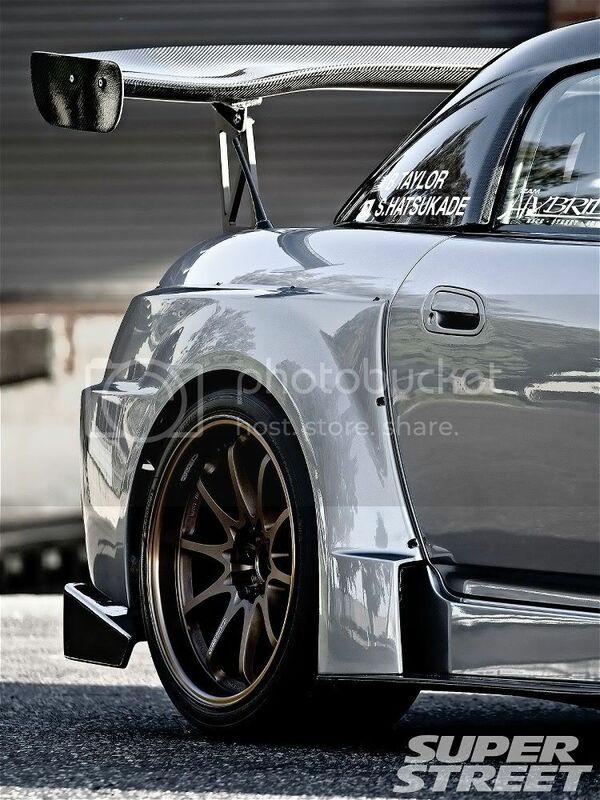 Obviously this isn't a Super GT race car, nor will I ever own one. This car is about as close as I'll ever get." Even if it were possible for him to acquire a Super GT car from Japan, he wouldn't be able to use it to its full capabilities. It just wouldn't be realistic. Building himself a track-capable Japanese sports car would just bring him a little closer to living out his Super GT dreams. Bobby wanted a car that he could not only track, but also drive on the street. 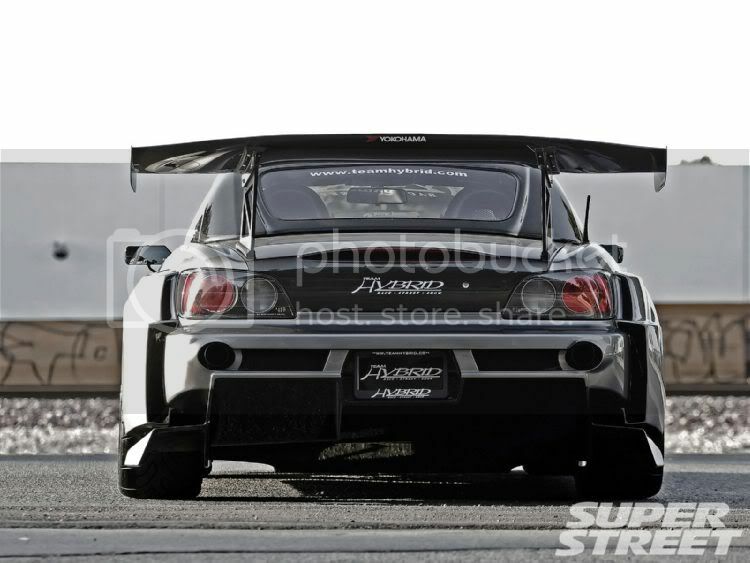 While many would be scared to risk damage to an authentic Powerhouse Amuse aero kit and simply hard-park the car, he showed little hesitation and put this S2000 to work. 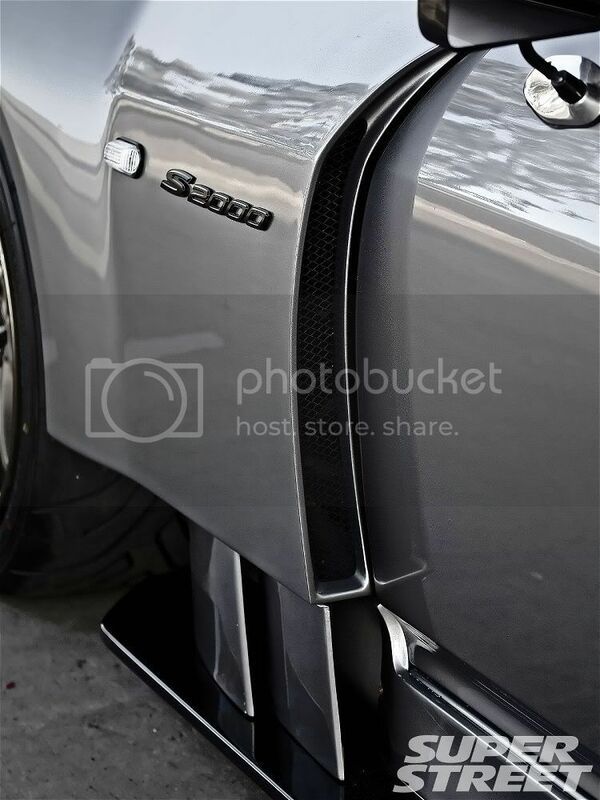 Yes, Bobby tracks his S2000, and the wallet-killing Amuse aero has all the battle scars to prove it. "I almost didn't get this (Amuse) kit," Bobby says. 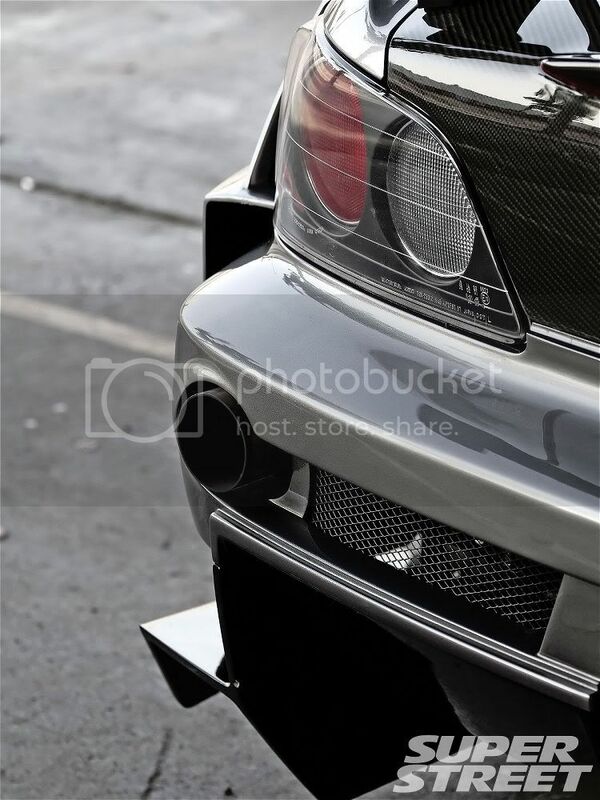 "When I initially went to Bulletproof Automotive to inquire about getting it, Ben (owner of Bulletproof) was trying to convince me to build a twin of one of his S2000 projects from the Fast and Furious movie. He showed me the kit he was using, all the crazy graphics and what not, and I just wasn't feeling it. I'm not a huge vinyl graphics kind of guy and while it would have been cool to be in a movie, I don't know if I could drive around in something that flashy and colorful. I had my mind set on getting the Amuse kit and I'm happy I stuck with it. 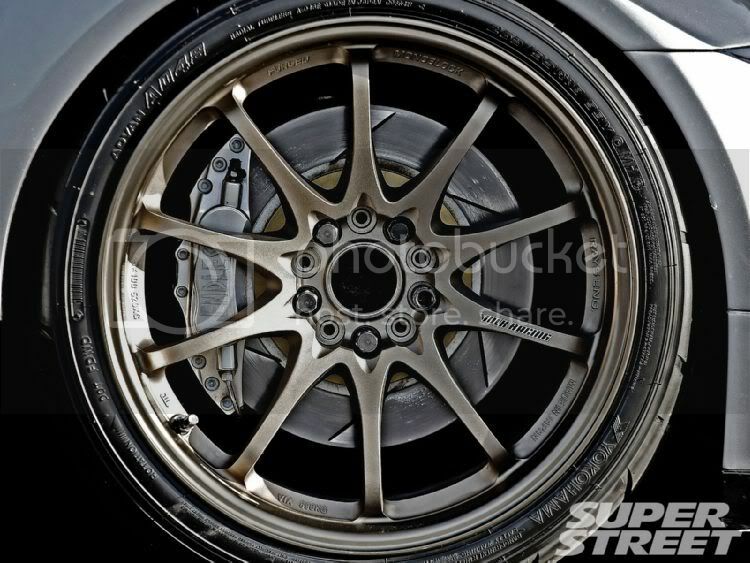 I found out later that the production company ended up not even including the scenes featuring those S2Ks in the movie." Bobby was inspired by the Hideki Tanabe-built Amuse demo car so much so that he even had the 18-inch Volk CE28Ns matched to spec. The sizing and offset were perfectly-suited for the widebody kit so there was really no need to mess with anything else. He did add his own touches though; a Top Secret hood sits in place of the OEM unit, VIS Racing provides a hard-top, and an APR GT500 carbon-fiber rear wing sits perched on top of the Extreme Dimensions trunk. 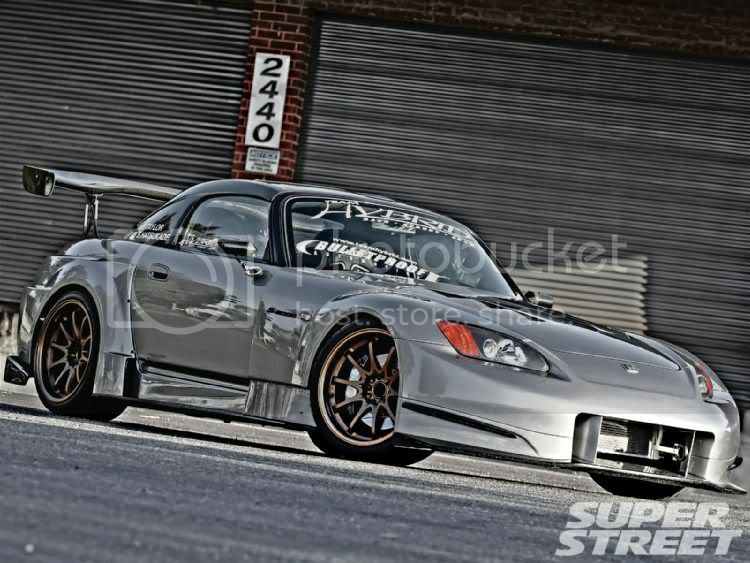 Giving Bobby's S2000 the correct stance are race-ready TEIN RA dampers while an Endless big brake upgrade sits stunningly behind the bronze Volk rollers. The larger Endless calipers and rotors work in unison with MX72 brake pads to provide the proper bite needed to stop this AP1. Additional stopping power is necessary because the stock F20C is, well, no longer stock. The 2.0 liter engine is force-fed air by a Comptech supercharger which boosts 11psi courtesy of a Science of Speed pulley. Other Comptech goodies include their air intake, S/C aftercooler and fuel pressure regulator. The dual exhaust that exits out through the Amuse rear bumper is a custom unit fabricated by the crew over at Time Machine Racecraft in Oceanside, CA. Powered by an AEM Engine Management System; Church Automotive was able to squeeze over 300bhp from Taylor's supercharged F20C. 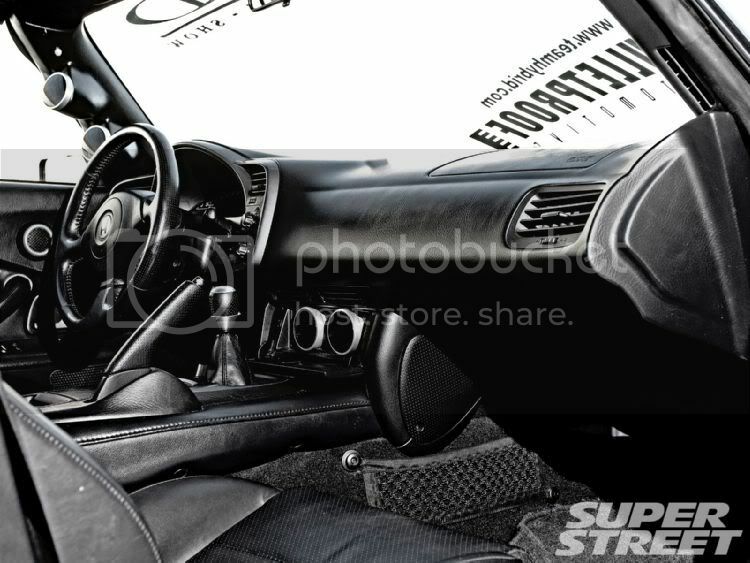 The interior has all the amenities of a street car while providing all the needs of a weekend track warrior. A single Bride Pros racing seat and Takata safety harness keep Taylor planted securely in the cockpit of the S2000 while a slew of Defi gauges supply the engine statistics needed when it comes time for Bobby to mash on the track. 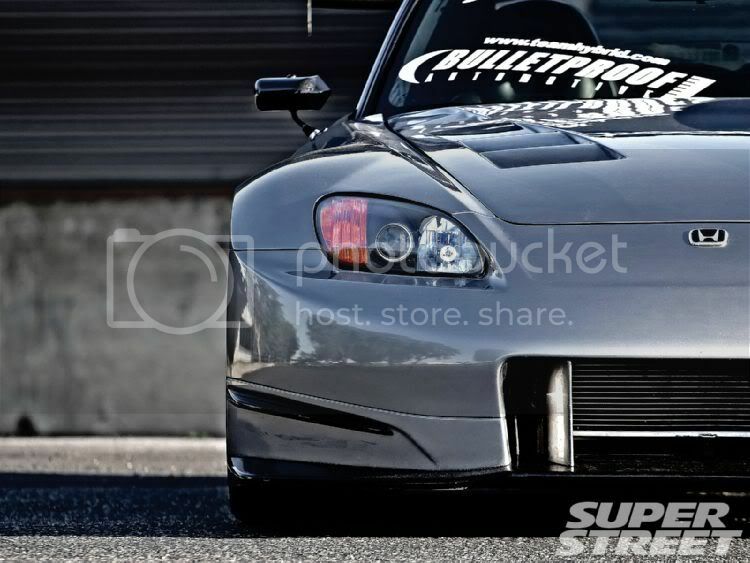 After a closer look at Bobby's S2000, it's easy to understand why the Team Hybrid founder was so excited. By adding this car to his fleet, James has found himself a gem. Sure, it doesn't have the tucked/shaved bay and custom wiring like most of the more popular Honda builds these days?it just doesn't need it. It's completely Japanese-inspired, and while it may never be a Super GT race car, it does share one common characteristic with them?the most important characteristic: Function. This Honda was built to perform.